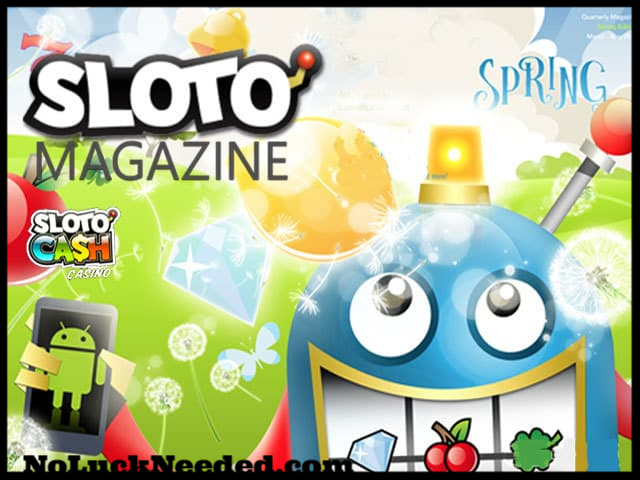 Secure your copy of the upcoming Spring Sloto Magazine from SlotoCash Casino with a special easy win 100% bonus and a $100 free chip reward! Redeem the bonus code SPRINGMAG2019 before your next deposit of $35 or more to claim your 100% bonus and after you play claim your $100 freebie with the bonus code 100-SPRINGMAG. Both promotions expire February 15th and the rules are listed below. Good luck! The SlotoCash Casino Sloto Spring Magazine is Coming in March! Secure your copy! Last day for this offer!